Only 20,000 copies will be made. This year, Civilization 6 will finally be launching, more than half a decade after Civilization 5, at this point widely acknowledged to be the best entry in the franchise (especially after all of its expansions) released. It’s a good time for a new game in the series to be out, since this year also marks the 25th anniversary of Civilization. 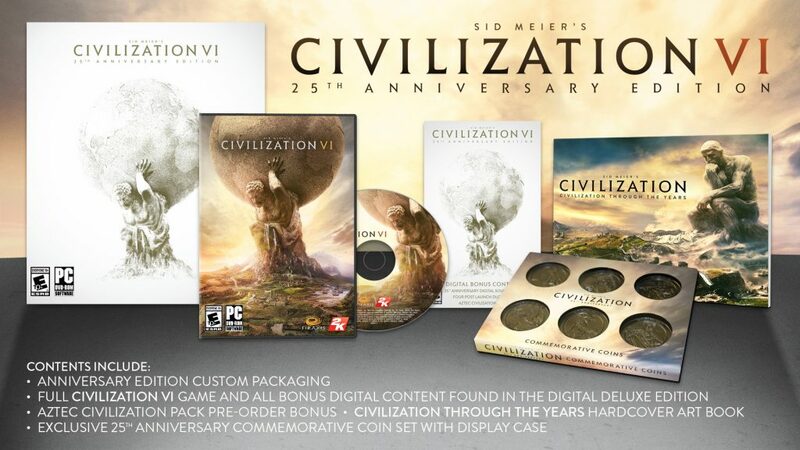 To celebrate the occasion, 2K Games and Firaxis will be releasing a special 25th anniversary edition of Civilization 6– the edition, which will be very limited (only 20,000 copies will be made available) will come with a whole lot of commemorate content.